The causes of lameness are many and varied. 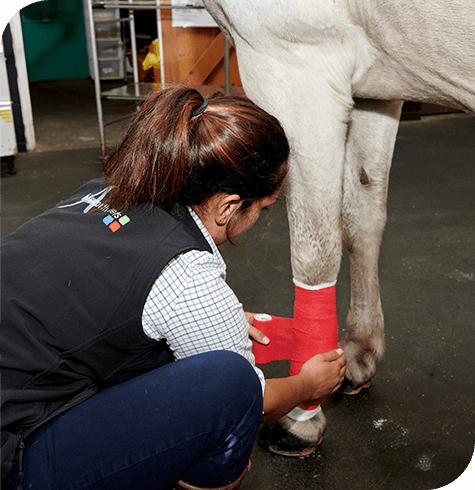 Thankfully many causes of lameness are simple and easily treated, however there are many causes that can result in a horse needing to be retired from riding. 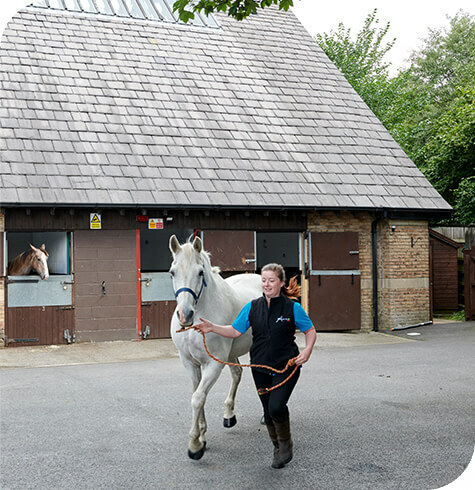 To diagnose the cause of your horse’s lameness we will need to perform a detailed examination of your horse. Often a thorough examination will give us clues as to the cause, for example a swollen joint, a warm painful tendon or an increased digital pulse to a foot. If there is no obvious cause of the lameness we may need to admit your horse to our well-equipped clinic for a lameness investigation or ‘work up’. Further investigations will often involve nerve blocks/joint blocks, x-rays and an ultrasound examination. Occasionally we may even need to refer your horse for further advanced diagnostics imaging to confirm the diagnosis. Once the diagnosis is reached we have many treatment options available to us, these include key hole joint surgery (arthroscopy), shockwave therapy, biological regenerative medicine techniques (IRAP/ACS, PRP, stem cell therapy), polyacrylamide hydrogel implants, to simple intra articular cortisone medications and oral medications. Our vets are happy to discuss any remedial shoeing options with your farrier. Often owners will report that the horse or pony is ‘not lame but just not right’. There are many conditions that will result in a loss of performance rather than a lameness. Our vets are experienced in examining and treating horses and ponies with low grade back pain, neck pain or sacroiliac pain. Other causes of poor performance may be gastric ulceration, airway dysfunction, muscle issues or rarely cardiac issues. We have video endoscopes, ultrasound scanners and ECG monitors that can help us diagnose the issues. If you feel your horse is lame or not performing at the level it has been, give the office a call on 01535 602988 to speak to one of our vets or book an appointment for investigation.